Sleep-away camp is an age-old tradition for many kids, who spend blissful summer days swimming, playing dodgeball, doing arts and crafts, and singing around the campfire. Now, adults can relive their youth at camp, too — with a twist: There’s booze. 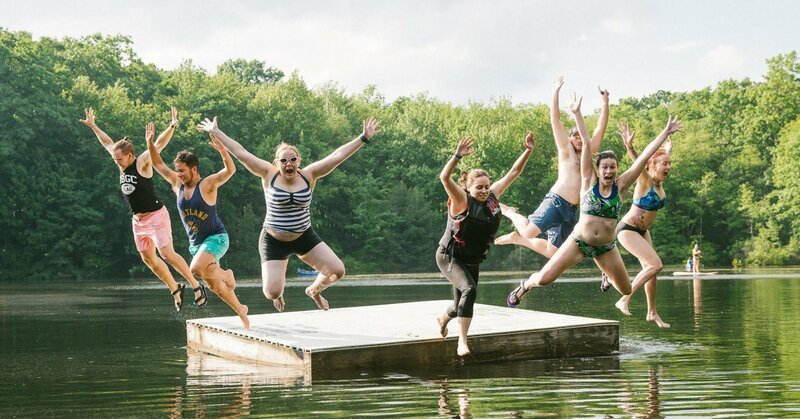 Camp No Counselors, which runs a series of adult camps around the country, is bringing the adventure to Florida for its third year. The Aug. 31 to Sept. 3 event will be at a campground in the Ocala National Forest. For $645 to $699 a person, Camp No Counselors promises all the traditional camping activities, including canoeing and talent shows. But it also touts an open bar, themed parties and “delicious” meals that are probably a notch or two above typical camp fare. Case in point: Bloody Marys and mimosas served with breakfast. Another difference at its Florida camp: Air-conditioned cabins with their own bathrooms. Emily Horowitz, who lives in Miami, is a veteran Camp No Counselor attendee -- she’s been to five camps and will be heading to Nashville for its camp there next month. “It’s just nice to be able to step away from everyday life and be in an environment where all you do is have fun with like-minded people,” said Horowitz, 36, adding that she never got to go to sleep-away camp as a kid. Adam Tichauer, 35, dreamed up the idea of an adult camp when he was president and CEO of a music technology business. In September 2013, he rented out a summer camp and invited his friends, who in turn told others. About 90 people showed up. “At the end of the weekend, I realized that maybe we as adults need time to disconnect ... and just play and be silly and have fun, like when we were kids,” he said. By the following May, Tichauer had quit his job and started Camp No Counselors. The company got a boost two years ago when Tichauer appeared on ABC’s Shark Tank. Although he didn’t make a deal with any of the sharks, the exposure was good for the company. “It helped get the brand name out there to a huge audience we probably wouldn’t have been able to get on our own,” he said. In the past four years, the company has hosted 85 camps at 16 locations across the United States. Camp No Counselors isn’t the only camping experience for adults. Camp Throwback and Camp Kid Again, for example, also promise lots of fun and alcohol. There’s a camp that focuses on women empowerment, one that is designed for the LGBTQ community and another for Jewish adults. 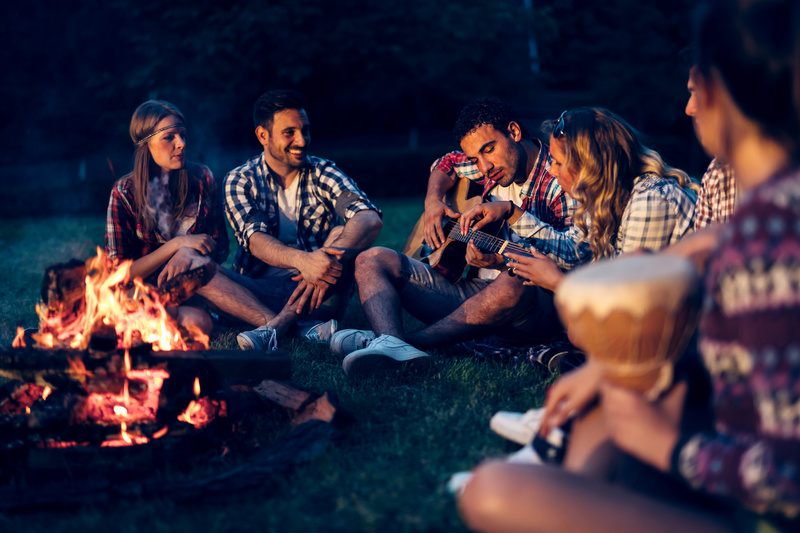 Dr. Kathleen McHugh, an Orlando psychologist, isn’t surprised by the adult camping trend — especially among millennials. From a mental health perspective, she said it’s good for adults to unplug and unwind. Tichauer said his company vets participants to make sure everyone is safe at camp and to bring in a diverse crowd. “It’s tough to make friends as an adult,” he said. The idea is to find new lifelong friends. Horowitz has embraced that goal. Although she went to her first camp — in Chicago — alone, now she plans her Camp No Counselors trips with people she met at previous camps. 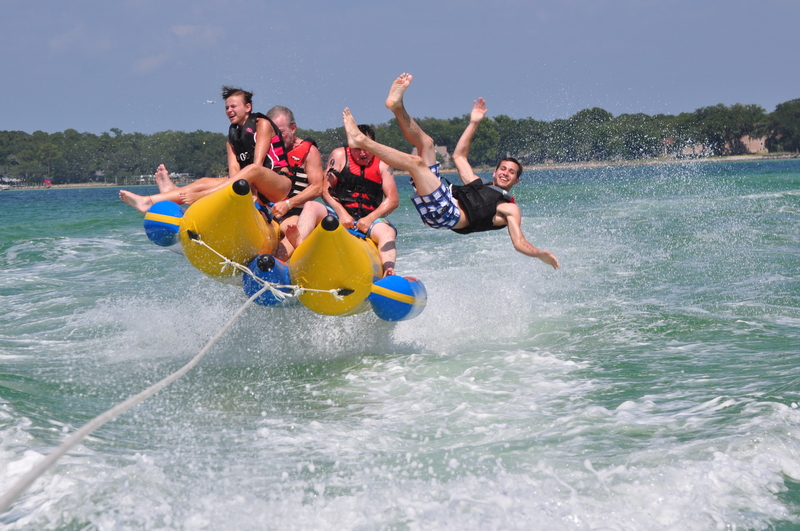 There are a few ground rules at Camp No Counselors, which attracts campers in their 20s to 40s. Although it doesn’t prohibit cell phones — like many children’s camps do — a “hard ask” is that campers put their phones away. Horowitz admits checking her phone in the evenings to make sure everything is OK back home, but she largely does not use it. “For the most part, the phone stays in my cabin and I don’t touch it. I think that’s really important,” she said. “What ends up happening is you end up becoming friends with people and it’s a totally unbiased, neutral opinion you’re forming about somebody,” said Horowitz, who works at the University of Miami. At the end of camp, people exchange numbers or emails and often connect on social media. “It’s really fascinating to find out what people do in their day-to-day lives,” Horowitz said.